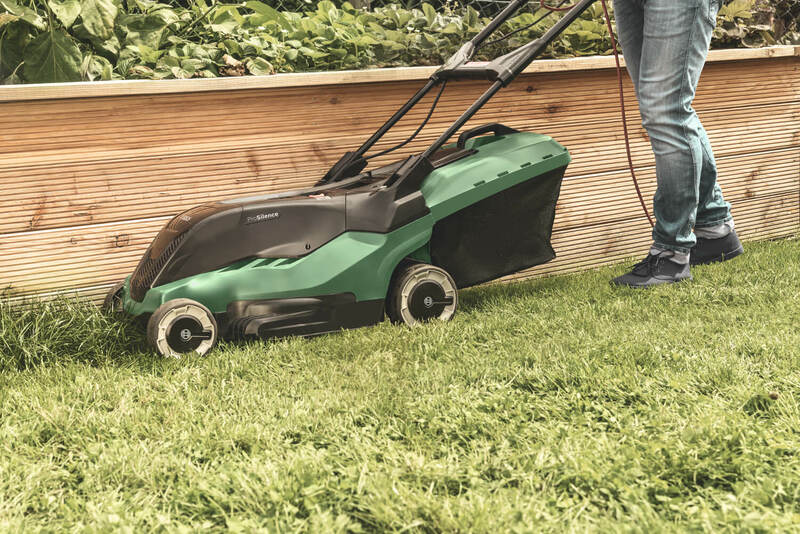 Featuring a number of innovative user-orientated features, the Bosch AdvancedRotak 750 makes cutting the lawn easier than ever. It has six easy to adjust height settings, from 20 - 70mm, a 50L grass box and the largest cut width in the Rotak range at 45cm. As well as all of that, the AdvancedRotak 750 also has a number of more advanced features such as ProSilence technology, ergonomically designed ErgoSlide handles and a special rubber coating on its wheels. 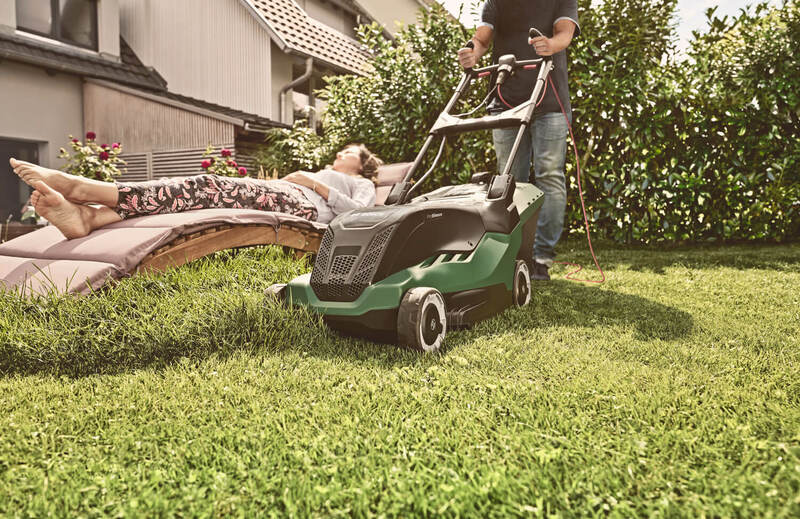 One thing is for certain: this lawn mower is equipped to handle anything that your lawn can throw at it. 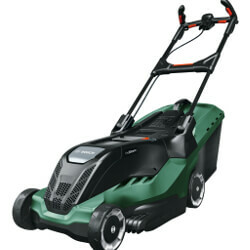 The Bosch AdvancedRotak 750 has been designed to make lawn maintenance as easy as possible. It combines power and efficiency with ergonomic comfort to deliver a user experience unlike any other. Its ErgoSlide handles will help to reduce strain on the arms and back when in operation, as well as providing more smooth manoeuvrability. 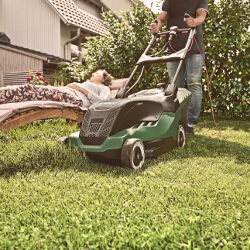 It runs off a powerful 1800W motor, however, has been specially designed using Bosch's ProSilence technology to reduce unwanted noise when in use. As part of the AdvancedRotak range, this lawn mower comes equipped with Bosch's revolutionary ProSilence Technology. 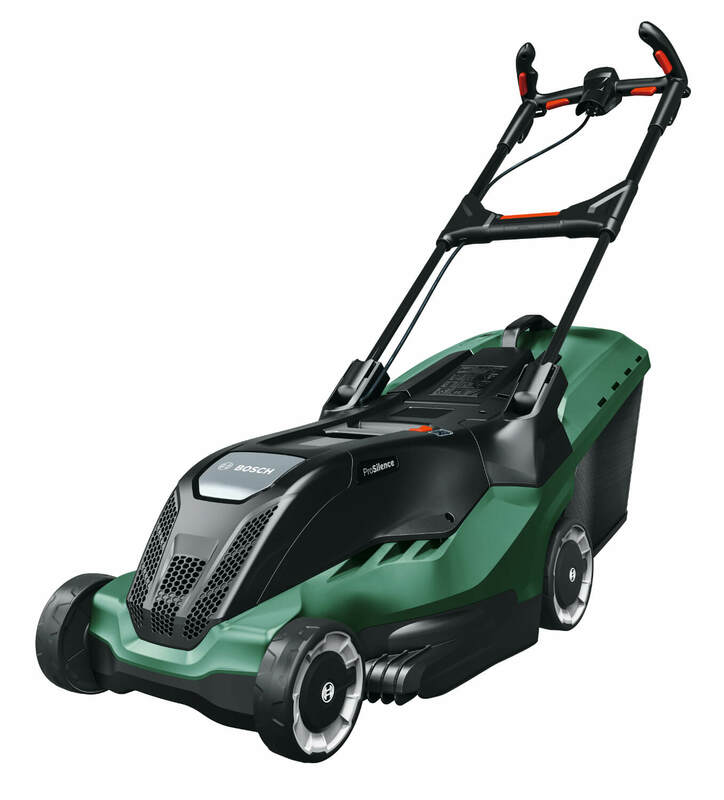 Operating at a volume of only 89db, this lawnmower is around the same volume as a conventional vaccum cleaner. 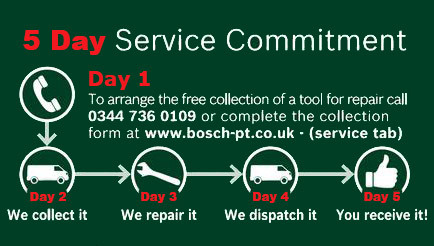 Bosch's AdvancedRotak 750 features ergonomically designed handles to deliver a comfortable user experience. 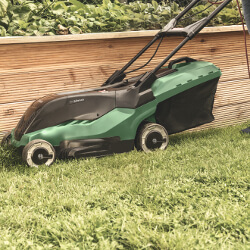 Their curved shape allows the user to hold them in a natural way, which reduces strain when using this lawn mower and allows for quicker and easier manoeuvring. 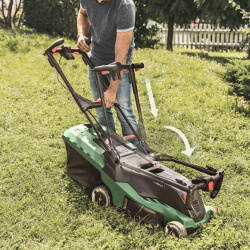 The Bosch AdvancedRotak 750 features a 50L grass bag which can be conveniently folded down when not in use to allow for easy storage. 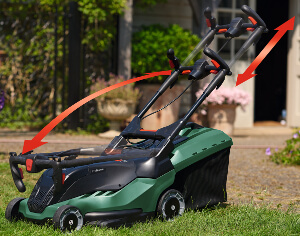 The mower comes with a LeafCollect blade included, allowing the mower to be used to collect fallen leaves. 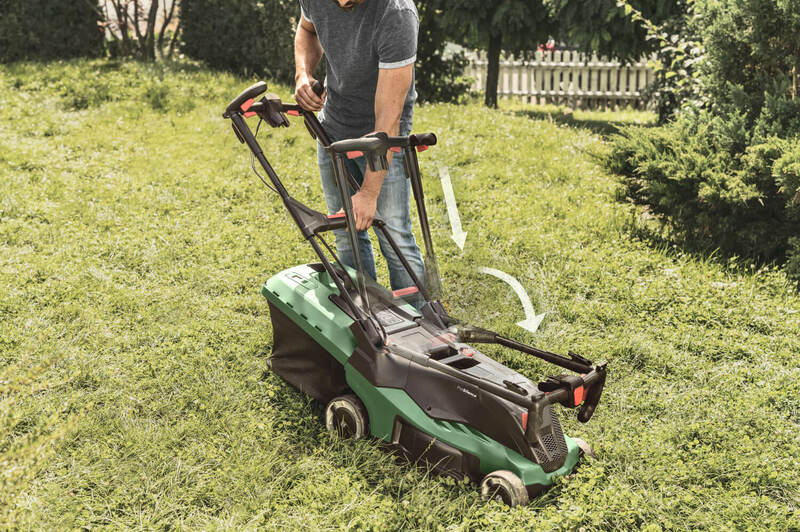 No need for any laborious raking, the AdvancedRotak 750 simply collects, shreds and stores the leaves in the grass box ready for disposal.